Kate Schade was a ski bum. She woke with the sun to get in a full day of skiing the glistening slopes at Jackson Hole Mountain Resort before quickly showering and heading to wait tables in the evening. While waiting in line for the ski lift or running from the mountain to the restaurant, Kate would stay energized with Tram Bars – a pocket-sized bar packed with nutrients that she created in her kitchen on the occasional day off. 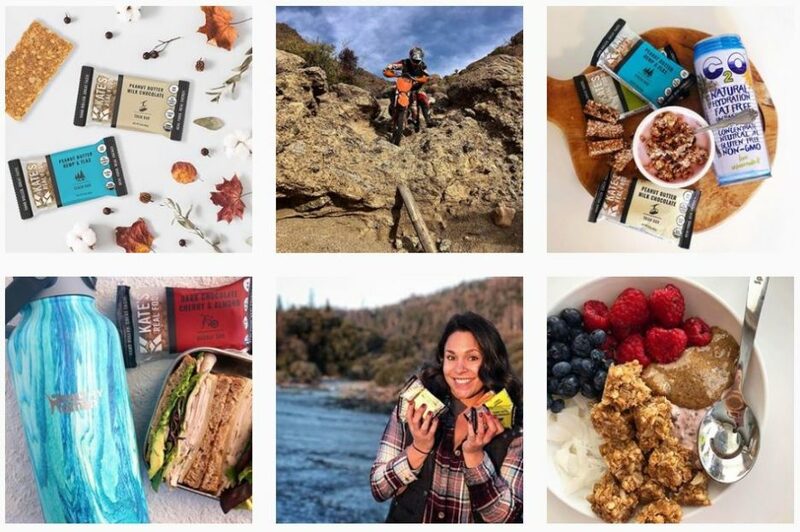 After several years of objecting pleads to start selling her backcountry bars to friends and fellow skiers, Kate launched what is now Kate’s Real Food. She continued to work at the restaurant and at a local CSA farm in the summer, while making moves to create a fully-functioning, sustainable business. Today, the Victor, Idaho-based company offers six flavors of bars – all handmade, certified organic, gluten free, and non-GMO. The Kate’s Real Food team of about 20 employees work hard in the office and play hard in their inspiring backyard. You can find them hiking, biking, skiing, camping and exploring in the Tetons with pockets and packs full of delicious Kate’s bars to fuel their adventures. Kate’s Real Food is proud to offer a products that have been Tested in Idaho.